We are pleased to welcome Dr. Charles Ware back to the Church Ministries Conference. His powerful Bible teaching is marked by grace, conviction and faithfulness to Scripture. Dr. Ware is president emeritus of Crossroads Bible College, a biblically conservative evangelical institution dedicated to training Christian leaders to a reach multiethnic urban world for Christ. He has authored, co-authored, and edited several books. Among these is One Race One Blood co-authored with Answers in Genesis founder and President Ken Ham. 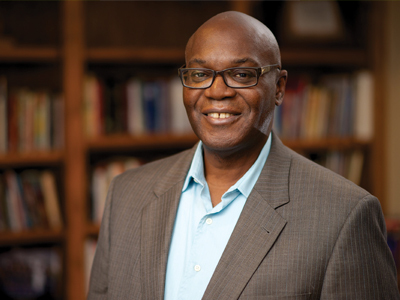 Dr. Ware serves on several boards including: The Association of Baptists for World Evangelism (ABWE), The Association for Biblical Higher Education (ABHE), Anchorsaway, and the Biblical Counseling Coalition. Dr. Ware and his wife, Sharon, have celebrated 45 years of marriage. They have six children, four daughters-in-law, one son-in-law, and three grandchildren. Grace that Works! Isn’t that a contradiction? We are saved by grace, not works. Yes, it’s true, but Peter tells us that if we have received grace from God, it is a grace to be shared (1 Peter 4:10-11). We share not out of compulsion, but empowered by God. The grace we’ve received transforms us and will transform the world. Join us at the 2019 Church Ministries Conference as we discover again God’s grace that works in us.